Thanksgiving feasts in Dallas are becoming a relative formality for the Cowboys in the Tony Romo era. In 2006, the Cowboys demolished the Buccaneers 38-10. In 2007, they destroyed the New York Jets, 34-3. And yesterday, true to form, the Cowboys ate up the Seattle Seahawks, 34-9. Three Thanksgiving games in the Romo-era, three wins. Combined score? 106-22. After the clinic put on in the 1st half yesterday, and after the last 5 days of Cowboys football where they hang 69 on the NFC West, I seem to be less likely to buy that the league has sorted out the Jason Garrett offense. There is no amount of defensive scheming that is going to slow down a Romo-Witten-Barber-Owens-Williams offense. Forget it. Add in a Crayton here, a Bennett there, and I am convinced this team can still achieve what it dreams to achieve despite the fact that the odds are almost nil that the Cowboys could play a playoff game in Irving. I guess it all comes down to a few things. Can they quiet the December reputation (which I don’t honestly care about given that the number of 10-16 in that month since 2003 takes into account Quincy, Vinny, and Drew. You want to show me a number, show me Romo’s December record – 4-5) and can they stay healthy? If the Romo injury wasn’t enough to give you indigestion last month, than the Marion Barber and DeMarcus Ware situations give you grave concern. I think they will both be ok, but I am particularly worried about the pending MRI of Ware because we all know how ordinary the Cowboys defense would look if they didn’t have the absurd play-making of #94 on the flank. Further, after Brenden Morrow blew out his knee without experiencing much discomfort at all and even thought he could keep playing in the short term, all he could say was that his knee just “wasn’t quite right”. As odd as it seems, you could completely blow your knee out and not know it. So, cross your fingers. I think we all know that every team has a few guys that are irreplaceable. If it wasn’t true, then you would pay all of the players the same amount. For every case of Osi Umenyiora and the way the Giants have marched on without him, there are 10 cases of a team losing a “big 5” player and the season crumbles far below expectations. If Romo, Barber, Ware, Witten, or Owens end up missing for a month, this team is not the contender it is. So regardless of how much preparation and execution you pour into this thing, one thing about winning the Super Bowl that nobody likes to admit is the sheer luck of health. Let’s all hope for that in this particular case. Anyway, we said they had to figure out how to get to 8-4 as the calendar turns to December, and they did it. I think they deserve great marks for coming out of the bye and taking care of their business. Now, the weather turns, the schedule improves, and the pressure accumulates. But, at least they are back in the game. We all know how close they were to being out of the mix with a loss to Tampa Bay or at Washington, this team would be relegated to playing out the string in the ultra-competitive NFC playoff picture. But, they won in such a way that the 2nd half was only necessary for record-keeping, and they can take a 10-day rest, then report to Pittsburgh for the big final push on December 7th. • You know you are playing well when you run 20 plays without ever having a 3rd down. The Cowboys actually did have one 3rd down, but due to a penalty, it is ruled a “no play” in the stats, so they went right up and down the field in the 1st 3 drives with almost no need for the 3rd down package. The ease was amazing. How great does this offense look when it is fully operational? At least almost. No Felix, but I am focusing on the good. • Jason Witten’s last 4 games: 4 catches for 53 yards. Witten in the 1st Quarter yesterday: 4 catches for 67 yards on his way to 9 for 115. I think he is healthy again, and I think his interview with Deion helped, too. • So, the Cowboys have a pass rush now? Or should we assume that the Seahawks were trying to play with a new Left Guard and a new Center because of injuries. Regardless, 7 sacks used to make up about 30% of a season’s total of sacks for the Cowboys. In 2000, the Cowboys had 26 sacks for the year. 2001, 24, and 2002 just 24. The Cowboys now lead the NFL in sacks with 40, after nailing 46 last year. If there is anything that Wade Phillips can say that did not exist before he arrived it is that ability to sack the QB. The last time the team broke the 40 sacks barrier before Wade arrived was 1994. Now they have done it both years Wade has been here. The last time they had done it in back to back seasons is 1987-1988. • Observations that have nothing to do with the game: I don’t get the Jonas Brothers, but my daughter does. And, if I had the time to play video games anymore (I think less blogging would help) I am pretty sure I would buy the new Tomb Raider game that was advertised during the 2nd half. Looks pretty cool. • Every time they show Terrell Owens, something appears to be going on with him. They show him once, it looks like Rocky Bernard wants to kill him. They show him again, Pac Man Jones is pulling him away from an animated discussion with Tashard Choice (I think?). The man does not lack for excitement in his life. • Don’t look now, but Martellus Bennett looks like he is making all of the progress a young man should be making in his rookie season in the NFL. And as well as he is playing, he is getting on the field plenty. He was on the field 17 of the last 18 plays yesterday as the Cowboys began running the ball. Meanwhile, if your name was Roy Williams or Patrick Crayton, you played 1 play in the 4th Quarter for that same reason. • Orlando Scandrick is also really showing himself well. I like his ability to fight his way through routes and make a few plays on the ball. • Favorite story from yesterday? Tra Battle. From what I understand, Tra Battle has been on the practice squad of the San Diego Chargers for 2007 and a good part of 2008. Then, 2 weeks ago, he was activated when the Chargers needed another safety and was credited with 1 tackle in that famous game played between the Chargers and Steelers in Pittsburgh on November 16th. Then, he was pushed back to the practice squad on Saturday for the Chargers. On Tuesday, he is having lunch in California and told to get to an airport because the Cowboys, who needed another DB with the Pat Watkins and Mike Jenkins injuries, and wanted to sign him to the 53. He landed in Dallas Tuesday night, worked with special teams on Wednesday, and was activated for the Thanksgiving day game for the Cowboys on Thursday. Then, put right on kickoff coverage, the Cowboys lined him up at “R2” which is the second man in from the right on the cover team. With 12:36 left in the 1st Q, he runs down the returner with such speed and conviction that it certainly caused a fine reaction at the Stadium. Very cool to see #35 make a play in his first play as a Cowboy. • Chalk-talk of the day: The Owens Touchdown late in the 3rd (2:23 left) is a perfect example of how coaching and scheming can get you points. The Cowboys are in “13” personnel – 1 RB, 3 TE, and Owens. Owens is wide left with Marcus Trufant in his face. Tony Curtis is technically in the FB spot in front of Barber, with Witten on the left of Adams and Bennett on the Right of Colombo. They then motion Curtis all the way out to the Seattle sideline, and the Seahawks coaches no doubt gasp in horror because they know what their soldiers are going to do. Trufant follows his automatic defensive principles which state that when motion crosses his man, he then slides out to cover the outside man (Curtis) while the man who had Curtis (LB Julian Peterson) originally grabs the guy who is now essentially in the slot (Owens). Oh dear. Major mismatch and I am sure the Seahawks coaches were trying to call timeout. Romo snaps, looks away, but knows he is going to Owens who will beat the safety to the endzone. Touchdown. It reminds me of the same thing they did to Washington in Week 4 with Felix Jones did the same thing to leave Witten up against a LB because of pre-snap motion from the backfield to the sideline. Love it. It just shows you how complicated the NFL really is. If the Cowboys did that more often, the opponent would prepare in practice for that scenario. But, if you do it one play a month, you hope the defense makes the wrong pre-snap adjustment. Then, Romo sees what they did, and he pounces. I was disappointed that the Fox guys did not see WHY the Seahawks had Peterson on Owens. Aikman just went on and on about how he didn’t understand why Seattle would try to do that. They didn’t. They just had 2 players who made a split-second poor decision. But now Seahawks fans think their coaches are imbeciles for trying to put a LB on Owens. • DeMarcus Ware is amazing, and made Walter Jones look like he has lost a step. When you rip Flozell Adams next time, just remember how bad Walter Jones – who most people consider the best Left Tackle in football – looked. The point is that these speed rushers are just impossible to stop sometimes. And who doesn’t love the blitzing of Bradie James? He seems to have found a knack. • 10 days off before an absolute huge challenge in Pittsburgh. Keep those players healthy, and let the stretch drive begin…. Proving that when you have something taken away (winning hockey) you tend to appreciate it much more when you get a taste of what it used to be like, I give you Wednesday Night in Minnesota as exhibit A.
Isn’t winning fun? Didn’t you offer a yell of some combination of celebratory words, too, when Brad Richards picked the top corner to tie that game up? How about when the winning goal was deflected in by Erikkson? Or when time was ticking down during the mad scramble in front of Turco? But the intoxicating high of winning, even on a random Wednesday in November, serves as just a glimmer of hope that maybe they can begin clawing. #1 – The Stars have played 8 games this season in Dallas, 13 on the road. The idea that they have an abundance of home games forthcoming is good news right? Err..not so much. The Stars have not won a home game since October 29th (against the Minnesota Wild – can we get them scheduled more often?). The Stars have done less with their home games than every other team in hockey. At 2-3-3, they have taken the maximum 2 points from home games just 25% of the 8 home dates. To put things quite simply, they must and I mean must start turning their home games into wins. This is about ridiculous to skate away with wins only twice so far in front of the home faithful. #2 – The Stars have not won consecutive regular season games anywhere, anytime, since February. Since the calendar turned to March, the Stars have tried to win twice in a row 10 times! But, in games following wins, the Stars are absolutely awful: 0-8-2. Don’t you feel that it is pretty difficult to build any momentum whatsoever when you can’t string two wins together ever? With those two elements present, the Stars have no hope. As long as those two elephants are here, resistance is futile. But, what is that I see on the schedule? Home games against the Sharks on Friday, and the Oilers on Sunday. Could you imagine how everyone would feel around here if the Stars could just string together those 2 wins with this win in Minnesota to end November on a 3 game streak? Look, I hate to kill your buzz (there is no way I killed your buzz if you have been watching this team for the last 21 games) but I don’t see Dallas catching San Jose this year. Pretty tough to spot them a 19 point lead by Thanksgiving and expect to reel them in. Now, we must all assume that it is going to be a winter of watching that 8th playoff spot. The new goal is, and I realize this hurts after last spring, to make the playoffs. Well, with that in mind, you must now see that this morning, the Stars sit 4 points behind 8th place. Yes, 6 other teams sit between the Stars and Predators, but Nashville is in 8th with 22 points, the Stars in 15th with 18. I do not call this an insurmountable lead. I call this doable by Christmas. In fact, if the Stars are serious about playing past April 10th this year, I highly recommend they start on Friday and Sunday by quieting the elephants of “home futility” and “allergic to consecutive triumphs”. After a spring of these guys making me believe they are capable of almost anything, we might be reduced to hoping we can believe in winning a home game against the big, bad Sharks. Baby steps, dear friend. Baby steps. Since it is the day before Thanksgiving, I am giving myself a bit of a breather for a few days from full blogging. Given that this is my “for the sheer joy of blogging” job, it often is the first survivor voted off the island when things get compacted for various reasons. Regardless, keep checking back, but don’t expect anything substantial save for a Cowboys breakdown on Friday before the new week begins. That being said, I must give you a quick thought on the finale of my favorite amoral show. The Shield. Despite the emails that seemed to rule that it was disappointing, I must tell you that I thought the finale delivered in a huge way. The Shane death – with the eternally disturbing images of his family in the next room, the Claudette rant on Vic in the interrogation room with Vic in the perp chair, the Ronnie bust, and the final conclusion which had Vic in a far worst place than either death or prison. Everything was gone and taken. Everything caught up with him. But he is still free and alive to exist in his own personal Hades, knowing he is to blame for everything. It is enough to drive him insane, and I thought it was flat-out perfect. But, it is subjective, and you have a right to be disappointed, but what did you want? I pile of bodies as everyone killed everyone like the end of the Departed? This was perfect. If I had to choose, I may recommend this show to you stronger than any other. Check your conscience at the door, suspend your disbelief, keep your family away from the DVD’s, and brace yourself for 88 hours of unforgettable television. Rest in Peace, Strike Team. And the turnover data: The winners of the turnover battle were 9-4 again this week, to take the season total to: 109-32, 77% - those teams that were able to beat the odds (lose the turnover battle, win the game) included 3 road teams, the Jets, Patriots, and Giants and the Falcons at home. Tonight is the finale of the Shield. Very happy and very sad all at the same time. Tom and the crew have celebrated this fine day by putting most all of the Shield interviews that we have ever had in the same place at the same time for your listening pleasure right Here …please enjoy…. Another Walt Goggins interview ….he will be on our show again on Wednesday…. The pain continued in Philadelphia on Monday night as the Stars appear to be getting plenty of effort and fight, just not any results to show for it as they drop another one, this time 4-3 to the Flyers. It is taking all of the energy and resolve of this team not to get defeated with the lingering and looming thoughts of “this just isn’t our year” that has to be rearing its head every time another bad result or unfortunate development comes their way. Yesterday, they piled another injury on top of the Morrow/Lehtinen/Lundqvist list, and this time it is Steve Ott’s turn to miss a month with a broken hand. Another soldier down, those who can march on. the Achilles heel of the 2008-09 Dallas Stars. On both Knuble goals, there is just no reason for a player to have that much space in the Stars end. Especially on the final goal, which was surely a killer, it is not lack of effort, but rather lack of communication that is doing in the Stars on night’s like that. Then, your big guns continue to be asked to do more. Mike Modano with 2 goals takes a nice step forward (that should not shock anyone after 20 years) and Brad Richards I am sure lost a little sleep after his late chance looked like a no-brainer, but certainly turned out to be a chance missed. The last two games are extremely frustrating because when you lose 5-1, you just admit that you are horrible and try to fix it. But against the Ducks and Flyers, I believe everyone is really digging. And everyone is doing everything they can to break out of this cycle. But the piano on the back is heavy, and despite playing well enough to win both games, they end up with 1 of 4 possible points, and they continue to feel badly about where they are. Another game lost, and another few days of head shaking in Stars land. But, since misery loves company, check out the rough night for Canadians’ defenseman Ryan O’Byrne as he shoots the puck into his own net to cost his team a win over the Islanders. Bill Guerin with the cheapest goal he has ever scored! Terrell Owens put on a show Sunday at Texas Stadium. I must tell you, after he opened his mouth last week for another one of his “look at me” interviews with Deion, it is impressive that he then arrives at the stadium on Sunday and proceeds to have the biggest game in the NFL in 2008 for a Wide Receiver. Most athletes can not accomplish the feat of speaking out of line and then backing it up with a huge performance. Many, including me, were starting to wonder again if he is worth the trouble, and if Jason Garrett and Tony Romo need the absurdity of satisfying Owens while trying to keep this team afloat on the way to what they hope is the NFL Playoffs. Making the playoffs is hard enough, but trying to do it while massaging the incredibly high-maintenance persona of Owens sometimes seems like it is more trouble than it is worth. Until he breaks off a game for 7 catches and 213 yards. Then, you remember why you put up with the diva to begin with. Obviously, if he would pop open on occasion the rest of the weeks, this type of performance may not be so rare and his numbers may have not been so pedestrian. But, there he was, and there San Francisco was, refusing to play “press” coverage – the style of defense that has limited Owens to roughly 4 catches and 51 yards per game for the first 10 games this season. Each team plays the Cowboys differently, and as long as the objective remains to win the game, the Cowboys can feed off that. However, when the objective evolves into “satisfying the diva”, then I am not sure what Garrett, Romo, and the rest of the Cowboys world can do to get Owens open. Press coverage is his kryptonite, so we are going to see how he like corners putting their hands on him at the line of scrimmage with a safety over the top, when the Cowboys play the Steelers, Giants, Ravens, and Eagles secondary in December. Isn’t the most maddening thing about Owens boil down to his timing? To come out when the team is just getting healthy and just getting its QB back is just flat out absent-minded. Does he really think that his role and his stats are not affected dramatically by having Brad Johnson on the field? If he does realize that, then why the rant? If he doesn’t realize that, then should he be fitted for a straight jacket? Now look what he made me do. 5 paragraphs into my game story and I have not mentioned the Cowboys won the game. They did what they needed to do in the 2nd and 3rd quarters to systematically grind the San Francisco 49ers into a mound of powder to get their record to 7-4. The good news is that they effectively and efficiently (no major injuries it would appear) took care of their own business and now see a date in 3 days against the very beatable Seahawks to get them to 8-4 on Thanksgiving. The bad news is that nobody else in that Wildcard race obliged them by losing their way out of the mix. The Falcons, Bucs, Redskins, Vikings, and Bears, all kept the winning up. Therefore, the road still looks incredibly difficult to navigate. But, keep winning, and good things will keep happening on that front. • What constitutes a “monster game” for an NFL QB? You know, not just a great game, but a flat-out monster? In my estimation, that would be hitting the daily double of 300 yards and 3 Touchdowns…an incredibly rare feat. Well, Mr Romo did that yesterday. And against Washington, Philadelphia, and Arizona this season…Against the Giants, Rams, Eagles, and Packers in 2007, and against Tampa Bay in 2006. That is right. Romo has thrown for at least 300 yards and at least 3 Touchdowns in the same game 9 times already. In 34 career starts, he has done it 9 times. Now, cross reference that with other QB’s in other cities and other eras to see how absurd that stat truly is. Next time someone tells you he is over-rated, agree with them and save yourself a headache. • The complete list of 49ers QBs who have started a game since 2004: Tim Rattay, Ken Dorsey, Alex Smith, Cody Pickett, Trent Dilfer, JT O’Sullivan, Chris Weinke, and now, the great Shaun Hill. Yikes. Joe Montana and Steve Young are no longer around. When you get really spoiled and bitter about some goofy Romo turnover streak, imagine how long it will be before teams like the 49ers are good unless they find “the guy” at QB. The key, of course, is to take “the guy” when it is your turn at the top of the draft. I am not saying Aaron Rodgers will be in the Hall of Fame, but when you take a guy who is not the “home town guy” over the guy who is and wants to play for you like 2005 when they took Alex over Aaron, you better be right. The 49ers appear to have been wrong. And now their penalty is sorting through these guys. Hill looks ok, but I wouldn’t get carried away just yet. • Tough day for Jason Witten. Nate Clements really hit him hard, and he only caught 1 ball for 11 yards. Thankfully, Witten appeared no worse for wear, but that dude is surely banged up as bad as he has been. 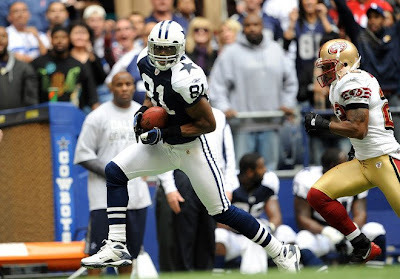 After the St Louis game in Week 7, Witten was on top of the NFL with 45 catches and 541 yards. In the 4 games combined since, he has 4 catches for 53 yards. I would imagine Jason Garrett needs to be called out by Witten to get his numbers back up, but something tells me that Witten will likely not be asking Deion to put on his goofiest sweater and head over to the condo anytime soon. • If San Francisco could convert in the red zone, you have to wonder how that game would have been different. Surely, a case could be made that the Niners could have been up 17-0 at the end of the 1st Quarter, and that would have tested everyone’s resolve. But, they settled for 3 FG attempts, only made 2 of them, and the deflation must have been immense when Romo dropped back early in the 2nd Quarter, hit Owens on 1 play and put the Cowboys ahead for good after being dominated in the first 15 minutes of the contest. • Was it just me or did the Cowboys leave their starters in there way too long in garbage time? Wade, you have a game on Thursday. 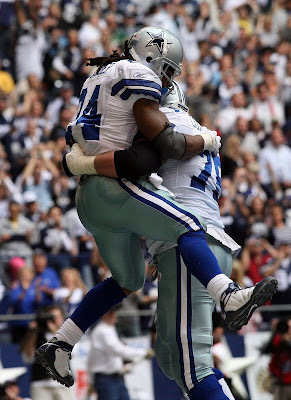 I don’t want to even imagine what would happen if the Cowboys have to go into Pittsburgh without a healthy Marion Barber. They must keep him healthy, and part of that process is NOT giving him 9 touches in a 4th Quarter where the game is most certainly not on the line. • Nick Folk is an exceptional FG kicker. He is generally flat-out money, and once again yesterday hit all 4 kicks, all over 40 yards. I will trade the good of hitting 85% of all of his career FG attempts for the bad of just 4 touchbacks in 147 career kickoffs (2%). I wonder if Parcells would demand 2 kickers so he could get a designated kickoff guy in here and flirt with the occasional touchback? • I had almost no opinions of #52 Carlos Polk until yesterday. Then, of course, he unleashed his much-needed special teams expertise. He ran down and made a big tackle on a return, and of course, his blocked punt may have helped turn that game as well. If you are at the game, you can see his dancing and gesturing before the kickoff that rivals Keith Davis for most animated on the cover crew. They say those special teams guys have to be part-nuts, and I think Polk is. For some reason, #52 still registers in my head as the great Dexter Coakley, but I will have to move on it appears. • Have you ever seen Terence Newman look so lost like he did on that deep pass to Issac Bruce in the 1st? Bruce, who had a season-high of 5 catches, caught 4 in the 1st Q alone yesterday on his way to 8 grabs for 125 yards. • The Cowboys two biggest plays to Owens yesterday were both out of the same personnel package and formation. “S11” is shotgun with Barber and Witten and 3 WR’s. Then, they were deployed in a “Bunch” lineup with Owens and Crayton in tight on the right, and Williams and Witten on the left. Then, Crayton goes shallow, Owens goes deep, and Romo stayed alive to make them both work. I swear, they might have even been the exact same play that went for 75 yards one time, and 52 yards the next. Mark Roman cannot run with Owens. • Manny Lawson is a freak of nature. I remember him on draft day and remember for a while being convinced the Cowboys were going to grab him at #18. Instead, they tabbed Bobby Carpenter. Could you imagine Lawson opposite Ware? Holy Cow. The league might not have allowed that because it could have been unfair to the opponent. • Keep taking care of business and get to the holiday at 8-4. You absolutely must beat Seattle. Then, enjoy your weekend. On to the Seahawks. 2) – The St Louis Blues beat the Ducks last night, 3-2, which you may think serves to give the Ducks plenty of reason to play well tonight in Dallas, but that wasn’t what I was looking at. This is what I am looking at , which shows plain as day that the Stars sit 15th in a 15-team Western Conference. And to add to your pain, a quick scan of the Eastern Conference reveals that the 15 points the Stars have accumulated at a snail’s pace this year only equals the Florida Panthers right now. That is right. Your Dallas Stars and my Dallas Stars sit DEAD LAST in the NHL. And now, we add injury to insult. Losing Morrow hurts a ton. His style of play is what this team needs when things get rough. He has had a start to the year that shows you how frustrated he is, and now it just got a whole lot worse. If there is one thing I know for certain, his obsession with being the best player possible will bring him back bigger and stronger for camp in 2009-10. The poor guy will celebrate his 30th birthday in January off the ice, and no one is taking this news worse than him. But, what now? Do the Stars honestly run the risk of landing with an extremely high pick in the 2009 draft? And yes, save your email. The Stars do own their own pick in the 2009 draft. So, if you Mel Kiper – NHL Style types want to begin goggling and google-ing the potential young savior waiting at the podium in June 2009, knock yourselves out, but not me. This thing has 64 games to go. This team is too bleeping talented to be this way. With Morrow, they are tied for 30th in the NHL and have allowed more goals than any other team in the sport. Without Morrow, they still have a roster with a ton of talent, much of which is not getting it done. How can a team with the top 3 centers named Ribeiro, Richards, and Modano feel sorry for itself? What better time to realize what Brad Richards is fully capable than now? Ride your horse. He is a dynamic 2-way center according to most everyone that has ever seen the man play. If he is good enough for Team Canada, then let’s give him more and more responsibility. When this team has a big offensive shift, they look to Ribeiro. When they have a big defensive shift, they look to Modano. Where does Richards fit in this mix? If you want him to be a #1 Center, you have to make him your #1 Center. How can a team with a 3-time all-star in goal feel sorry for itself? I have written plenty on the “Turco Topic”, and until Thursday, I was confident he was back. He better be. My point is that all of the debate over 4th liners and 3rd-pairing defensemen is fun, but this is about the big boys (contracts and paychecks) rising up and compensating for the loss of a guy who plays above his check. If everyone plays to their check, there is no way this team misses the playoffs. Look, losing Morrow for 6 months (or 6 minutes) hurts more than any other player in my estimation, but this is the hand you have been dealt. Sometimes you kick (like when you score in the 4th Overtime to avoid a trip to San Jose for a Game 7) and sometimes you get kicked (like Friday, about 4pm). We are going to have plenty revealed to us in the next 64 games. The optimist sees we are 5 points out of the playoffs. The pessimist sees 0 teams below us in the NHL. What are the Dallas Stars made of now that William Wallace is being prepped for surgery? Game 19 tonight with those Ducks…no pouting if you are wearing skates - you have work to do on the ice. Ah, everything feels a bit better when the Cowboys put one in the win column, and especially when you have the return of a QB who is NFL competent. I know it is obvious to say that Tony Romo is amazingly better than any of the alternatives kicking around here, but to see with your own eyes the obvious evidence, consider the following 10 numbers, which in order represent the yards per attempt of each of the 10 games this season. Keep in mind that games 7, 8, and 9 were not Romo. Even more remarkable, they won the game with 2.8 (Tampa Bay). In other news, the Cowboys ran plenty out of an interesting look that we call “12W” which is basically 1 RB and 2 TE’s, but both TE’s are in the backfield in a bit of an inverted wishbone. Anyway, many in the media suggested this was some new look, but here, we all know that is not the case, because they actually debuted this look in the first Washington game in Week 4 . A few differences – for instance, now it is not 82/89 as much as it is 82/80. Martellus is proving himself worthy of doing many things now, and the staff is placing more responsibility on him. Also, this time, they actually experienced some success with 5 rushes for 34 yards and 2 passes for 4 yards. So, why have they run this look 15 times this year and all 15 are against Washington? I have no idea. But, if I ever get 10 seconds with Jason Garrett, I want to ask him. In shotgun, S11 meant 100% pass, and they called “S11H” once, which was the run for Barber’s TD at the 2. Also, with the game on the line, the Boys went to “11” on that 4th down run. A finesse formation which worked wonderfully, especially to the weak side. Thursday! And I would be lying if I told you I did not love the concert last night. I have always told that the only band that can put on a show the caliber of U2 is Coldplay, and while that is a bold claim, the show was very solid. I must tell you that I cannot choose who’s singing was more compelling to view: Chris Martin or Tony Romo? More on that during today’s show. DALLAS — Coldplay’s ambitions are finally being matched by its sound. While the British quartet has always aimed to be among the top arena-dominating rock acts, its sensitive, occasionally maudlin and delicate ballads hadn’t made the strongest case. That said, the group’s live shows have been raved about for years. Goopy tunes or not, Coldplay is nothing if not audience-pleasing. Yet Wednesday night at American Airlines Center, there was a different air about the Grammy-winning act, almost as if Chris Martin and his bandmates were making a thrilling declaration: If another band would like to wrest away their crown as one of the most vital acts in music, let’s have at it. 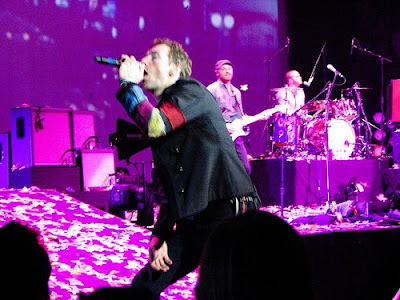 Emboldened by its new album, Viva la Vida or Death and All His Friends, with its rich, vivid and muscular songs, Coldplay raced through its set list, attacking staples such as In My Place and Clocks with as much verve as newer tracks Violet Hill or Viva la Vida’s staggering title cut. What was most impressive about the Viva la Vida tracks was their considerable punch — drummer Will Champion was tireless from first song to last — and Martin’s willingness to dispense with his trademark falsetto and sing with more authority. It helps give Coldplay a much needed dose of gravitas. Not that the band has become dour. Several instances of goofiness included Martin’s encouraging the crowd to buy copies of the new Guns N’ Roses album so they could get free Dr Peppers. 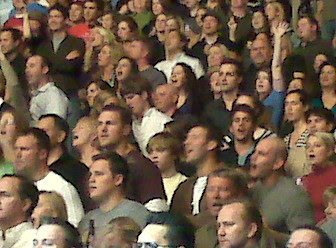 The packed arena greeted nearly every song and gesture with a lusty roar and near-constant flashbulbs. Martin was a reliable bundle of boundless energy, whirling from mike to guitar to piano. And it’s that energy that now feels properly channeled. For its first three albums, Martin and Coldplay made well-intended stabs at greatness, frequently coming close but not quite clinching it. On record as in Wednesday’s performance, the British rockers, who still humbly thank their screaming fans for bothering to come out, have secured a place as an undeniably great band, one of heft, talent and substance. When told that Texas Tech's 323-pound-per-man offensive line is the biggest in college football, Oklahoma defensive tackle Gerald McCoy didn't seem overly worried or concerned. The challenge of checking the mammoth Red Raider offensive front prompted a matter-of-fact response brimming with confidence from McCoy. "They've got a big line, so what?" McCoy said. "We've got to go out and play. We're not worried about their size. They are good, but we're not intimidated by that." Later, McCoy threw out some free-association terms of what he feels that would best describe the Oklahoma defense, including descriptions such as tough, brutal, hard and strong. Another adjective could have been thrown out as well, although McCoy probably would never do it. How about "unSoonerlike?" Perhaps their struggles are understandable because of the overall offensive nature in the Big 12. But the Sooners are struggling through their worst statistical season with Bob Stoops in charge. Earlier this season, the Sooners were blistered for 111 points during a three-game period that included games against Texas, Kansas and Kansas State. That total was the most since 1997. Those struggles have been obvious when comparing this season's statistics with those of previous seasons in Stoops' tenure. The Sooners are allowing more yards (345.60, 55th nationally) and more points (23.6 points per game, 57th nationally) than any of Stoops' previous nine teams. It's worth noting that Oklahoma ranked among the top 16 teams in an eight-season stretch in total defense and in the top 19 teams in scoring defense in all seasons but one since Stoops arrived in 1999. Now the Sooners are barely middle-of-the-pack in the national rankings. "We're embarrassed for ourselves," Oklahoma linebacker Travis Lewis told the Fort Worth Star-Telegram two weeks ago. "We're not used to having 35 put on us. That's just not us." Injuries have played a part. The Sooners lost their rudder when middle linebacker Ryan Reynolds went out with a season-ending knee injury in the Texas game. His loss in that game turned the course of the contest and allowed the Longhorns to charge back for a 45-35 victory that remains Oklahoma's only blemish this season. Pre-season Big 12 defensive player of the year Auston English had his appendix removed before training camp started and struggled to regain his shape earlier in the season. Later, English sustained a sprained knee that will likely keep him out until Oklahoma's bowl game. Defensive end Alan Davis also is hobbling with a sprained knee and won't play against the Red Raiders. It will mean the Sooners will likely go with a three-man rotation of Jeremy Beal, Frank Alexander and the relatively inexperienced Price Macon to provide outside pressure. Converted linebacker J.R. Bryant could also be used in plays off the edge to harass Texas Tech quarterback Graham Harrell. "It's going to be the guys we have," Stoops said. "We don't get to go out and claim people through free agency." They don't. But the Sooners clearly will be hampered as they try to contain a sizzling Tech offense that leads the nation in passing, is second nationally in total offense and third in points scored. Dallas Cowboys cornerback Adam “Pacman” Jones has been cleared to return to the team Monday, but won’t play in a game for another two weeks, owner Jerry Jones said this afternoon. Pacman Jones, who will return to practice Monday, will be eligible to play on Dec. 7 when the Cowboys play at Pittsburgh, Jerry Jones said. Pacman Jones was suspended by commissioner Roger Goodell on Oct. 14 for at least four games after another violation of the league’s personal conduct policy. Goodell said at the time that he would review Adam Jones' case after the Washington game on Nov. 16. After review, Goodell has essentially tacked on two more games to the suspension, making it a total of six games. Jerry Jones said there is still some conjecture about what Adam Jones will be allowed to do this week before returning to practice on Monday. However, he said Adam Jones will continue to be on a short leash as far as the league is concerned. The Cowboys are just hoping he truly gets it this time. The latest suspension came a week after he was involved in an alcohol-related altercation with one of his bodyguards at the Joule Hotel in Dallas. The incident came six weeks after he was reinstated from a 17-month suspension for repeated violations of the NFL's personal conduct policy. Jerry Jones also said that Pacman Jones, who completed an alcohol rehabilitation program in Boston last week, will no longer have the services of the club’s bodyguards. "I have had a bite of that," Jerry Jones said. "My own man [let me down]. I am going to try something different." They finished off a 3-0 road trip Wednesday night with a 96-86 thumping of the Yao Ming-less Houston Rockets at the Toyota Center. The Mavericks are 5-3 on the road, 0-4 at home. Alas, they will have no choice but to embrace the cozy environs of their American Airlines Center, where nine of the next 11 games will be played. On Wednesday, they took advantage of Yao's absence by beating the Rockets badly on the boards. They also got great shooting from Jason Terry (31 points). When the game got dicey, Jason Kidd and Terry combined for six quick points and an 83-73 advantage with under five minutes to go. Later, Terry's layup made it 90-84 with a minute to go, and the Mavericks were in. The Rockets, besides missing Yao, also had Tracy McGrady and Ron Artest coming off minor injuries from Monday's game in Oklahoma City. They simply didn't have enough punch to make a serious run down the stretch. Lately, the Mavericks have been making a living off unlikely contributors. At least, on paper they are unlikely. Coach Rick Carlisle was missing Josh Howard to a left ankle injury, which meant some creative lineups were called for. So he started James Singleton and used Shawne Williams extensively in the first half. Both played admirably and were a big part of the Mavericks busting out to a double-figure lead that ended up being a 53-46 halftime margin. The third quarter slogged along without much of anything to get excited about. The Rockets made two field goals in the period and still only lost three points on the scoreboard. The Rockets were 2-of-17 in the quarter. Part of it was salty Mavericks defense, but a lot of it was bad offense by the Rockets. Still, the Mavericks had a 72-61 lead and felt good about their chances. Then came the first two minutes of the final period, when the Rockets equaled their number of third-quarter field goals with a pair of 3-pointers. Suddenly, the Mavericks were up by just five, and knew they had a fight on their hands. Defenseman Darryl Sydor prepared for his first game since a trade from the Penguins on Sunday, and rookie winger James Neal returned from a month in the minors. Meanwhile, winger Jere Lehtinen is out 7-10 days with an upper body injury. tried to find the calm that would produce consecutive wins for the first time this season. As Dallas prepares to face the Chicago Blackhawks tonight, it will welcome its 27th player this season. And yet the players say if they find consistency in their performance, then consistency on the roster will probably follow. "We just need to focus on doing things right, shift to shift," defenseman Stephane Robidas said. "If we can do that, then the wins will come." Robidas said the players really weren't aware of the fact that they had yet to string back-to-back wins together. However, they were well aware of the inconsistency of their performance from period to period and game to game. A study of their victories shows a disturbing trend. A 6-4 win against Nashville was followed by a 6-1 loss to St. Louis. A 2-1 win against the New York Rangers was followed by a 5-0 loss to the New Jersey Devils. A 4-2 win over Minnesota was followed by a 5-2 loss to the Blackhawks. This game is the biggest game Texas Tech has ever played. This game may not be one of the 50 most important games Oklahoma has ever played. I got this off a TTU message board. Love it!!! Life gives you stories that resonant within. Stories like a young shepherd boy picking up five smooth stones and slaying a giant with a simple sling and a faith in God. Stories like a band of brothers completely encircled by German troops in WWII and when rescued by Gen. Patton claiming that they didn’t need rescuing, they were holding their own just fine. Stories about a rag tag bunch of colonies winning a war against the greatest world power of their time because they believed they could. Stories about a 6 seed Villanova defeating Georgetown for the NCAA championship, not because anyone else thought they could but because they thought they could. A runner survives 26 miles to warn his countrymen. A black woman refuses to move to the back of the bus. Stories like these inspire and bring hope because everyone of us is weaker than someone, smaller than someone and faces obstacles of our own. Remember the advice Coach Switzer gave Coach Leach when he was offered this job? Don’t do it, you can’t win there. That in a nutshell is the world’s belief about our school. You can’t win there. Tech is too remote, too small and too inconsequential to compete. Tech faces too many giants, from storied programs such as OU, UT and Nebraska to programs that are better funded. All but Tech and Baylor in the Big 12 are land grant universities within their state. They have celebrated their 100th year of this and that. We weren’t even around 100 years ago. They are big. We are not. But did Coach Leach listen to his mentor? No, he thought it could be done. He saw the promise. He believed in himself. He went to work. In many ways, success at Tech becomes Coach Leach. The pirates that Coach Leach is fascinated with battled world dominating empires such as the British, French and Spanish. As the pirates are to the British, French and Spanish, so Tech is to OU, UT and Nebraska. I think Leach recognized this when he started with the pirate theme. All the talk of Leach taking this job or that job seems silly to me. Can you see a Pirate becoming a British Commodore? This misfit who never played college football who is still viewed as a nutcase by traditional football powers fits here like a sword in a scabbard. West Texas is the outpost colony where only a pirate can thrive. So Leach began to build the base and the persona of a team, a team that could challenge. He took them to war and continually crafted the approach with phases such as “swing your sword” and “do your job.” He defied the traditionalist and rallied Raider Nation with his views that his fans were as good as any and that sometimes a pirate beats a soldier. Sometimes he does indeed, sometimes he does indeed. He drilled his team on execution, execution, execution. Now you hear stories of one of the top QBs in the country spending hours in the summer with the best receiver in the country throwing routes over and over again. Doing their job and swinging their sword during the summer of Texas sweat and heat. Why work so hard boys, don’t you know you can’t win at Tech? Listen and you will hear “yes we can” in the whine of the spirals in the Texas heat. “Yes we can” in the smack of the pads against each other. “Yes we can” in the clink of the weights on the bench. So how will the story end? I don’t know but I can tell you this. I am looking forward to seeing this team go mano a mano against OU and Stoops, the de facto King of the Big 12 hill at their house. Leach and his marauding band of brothers have already knocked down traditional power Nebraska and current power UT, who between them have over 10 MNC. OU claims 7 MNC and beyond OU is Florida, Alabama or possibly USC. Line’em all up I say, those MNC trophies don’t play a position on the field. They all started with zero trophies just like us. If and when this team wins the MNC they will probably have defeated programs with over 20 MNC between them. This team won’t win a MNC the easy way like BYU or Colorado. Nope, this team is going to have to flat out earn it by beating the hell out of the British, French and Spanish of the world. When you come from Texas Tech you know that respect is fought for and earned and the same will be true of our football team. I wouldn’t have it any other way, would you? Suspended cornerback Adam Jones and the Dallas Cowboys will know his fate in the next few days. According to a source, NFL commissioner Roger Goodell will decide before the end of the week whether to reinstate Jones or continue his suspension. the coming days with respect to his status." What's certain now is the suspension will be at least five games. Jones was suspended Oct. 14 for at least four games by the commissioner for another violation of the league's personal conduct policy. It came a week after he was involved in a alcohol-related scuffle with his bodyguard at the Joule Hotel and roughly six weeks after being reinstated from a 17-month suspension for repeated violations of the personal conduct policy. Jones was ordered to undergo alcohol rehabilitation and other counseling. Jones missed the Cowboys games against the St. Louis Rams, Tampa Bay Buccaneers, New York Giants and Washington Redskins. Goodell said at the time that he would re-evaluate Jones' status after the Redskins game. Even if Goodell does reinstate Jones this week, it will be too late for him to play in Sunday's game against the San Francisco 49ers. Jones has completed his alcohol rehabilitation program in the Boston area and has returned to the Dallas area, where he will continue to be evaluated by clinical experts and await the decision from the commissioner. Cowboys owner Jerry Jones and coach Wade Phillips said they would welcome Adam Jones back to the team if he is reinstated by the league. Marty Turco does this all the time, making those little tweaks when necessary to right his game. So with his rough start, the Dallas Stars goalie was doing them again. Getting his feet right, putting on the old skates, breaking out a new helmet and getting — along with his infant son — consistent sleep through the night. Whatever the quick fixes and sleep pattern — and the practice work, of course — they’re working. Turco has looked, well, more like Turco in the past five games. He’s lowered his goals-against dramatically from his first handful of starts, and has kept the Stars within striking distance of these recent games. Maybe they’re little adjustments that only he notices, but it’s been a good foundation. "Sometimes tweaks help you mentally and you can sustain and build from them," Turco said. "They’ve gotten me to feeling better consistently. I can’t say I’ve had a bad practice during this five-game stretch, and that’s a good feeling as a goaltender." Marty appears to be rounding into shape since that fateful night in Boston. The team still is not playing well enough and it is going to take some further developments, but now that Marty has played 15 games, isn't it fun to break it down? I realize that nothing is more team-oriented than the statistics of a goalie, but since he gets the big bucks when things go well, the numbers go on his ledger. Regardless, I told you back in October that there is no way he stays at that pace, and he has proven that easy bet a winner. Yes, Tuesday's 100-83 blowout was against the bottom-feeding Charlotte Bobcats. But, as coach Rick Carlisle said, "you can't complain about a win with the way it's been so far." And it was a quality victory in more ways than one. The Mavericks ripped out to a 15-0 lead at Time Warner Cable Arena. They got big nights from their forward tandem of Dirk Nowitzki and Josh Howard. They made another argument that they are starting to get it – "it" being Carlisle's system. And, with their second win in a row, they may be reaping some benefits from that ugly five-game losing streak that still darkens their record. it's good to go through something that's going to test a team and see where our character is. Are we going to give into the slow start or fight our way out? And this is a group of guys that's going to fight their way out." Even when the other team doesn't put up a fight. was less than half full on a bitterly cold night in Charlotte. The Mavericks forced the Bobcats to miss their first nine shots, were ahead by 20 at halftime and the lead never dipped below 11 in the second half. Nowitzki had 32 points, Howard 21. The Mavericks dominated the rebounding department and held the Bobcats to 38.8 percent shooting. Much of that power comes from the seven year journey we've been on with these characters, always wondering how Vic is going to get out of his latest jam, how he's going to end up, what Shane's going to do, etc. To see Shane spiral further and further into impending doom -- now having inadvertently made his pregnant wife into a killer -- was devastating, even though he's a short-sighted, hot-headed, bigoted clown who has brought all of this misery on himself (and, unfortunately, on his family) because good guy or bad, you form attachments to people you've been watching this long. And after waiting and wondering for years who was going to take Vic down and how, to see apparently him pull off the greatest Houdini act of his career -- to find a way to legally insulate himself from every murder, robbery and other crime he committed over a long and dirty career -- was stunning, especially since we know that he had to sell out Ronnie to do it. But much of that power also comes from the actors. What praise is left to write about Mr. Michael Chiklis? Every time I think he's wowed me as much as he ever can, he gives a performance like the one in this episode. With Chiklis, your eyes are always drawn to that bald dome, to the muscles, the swagger and maybe the sneer, but all I can think about in this episode are his eyes. There are several distinct moments in the hour where Chiklis gives us a window into Vic's soul, and it's a terrifying glimpse each time. The first is right after he gets the news that Chaffee ok'ed the immunity deal (but before he finds out that it's only for him, not Ronnie) and you see all the relief at seeing what he thinks is the light at the end of a very dark tunnel. The second is right after he sees the cops' (fake) arrest of Corrine, which he knows he caused with all his shenanigans. It's one of the few times in the run of the series where Vic seems to acknowledge, even for a moment, that his actions might have wronged other people, and it stands in stark contrast to the compartmentalized, guiltless look on his face at the end of the episode, after he's screwed over Olivia and Ronnie and gotten himself the greatest Get Out of Jail Free card of all time. But the thing that has haunted my dreams, that left me shaken in that screening room and the rest of the day, was that long silence before the confession. Again, some of the power of that is cumulative. To paraphrase Shawn Ryan, "The Shield" usually moves at such a helter-skelter pace that when it actually slows down to "Mad Men" speed, those moments hit much harder than they would on a more conventionally-paced series. 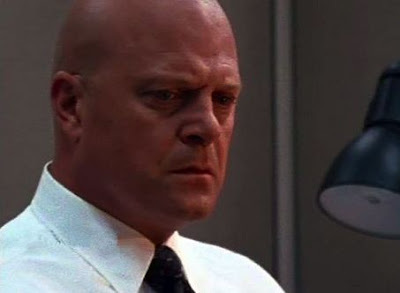 But dammit, look at Chiklis eyes, the set of his jaw, the utterly engimatic look on his face as Mackey debates whether he can really bring himself to do this: to finally own up to every last one of his sins to someone outside the strike team, and to destroy the life of the last strike teamer standing. Just a masterclass in acting, and one of the most striking moments I've ever witnessed in any TV drama. Jerry Stackhouse and his agent are exploring options for a possible departure from the Dallas Mavericks, the result of a turbulent first month of the season in which his playing time and level of performance have dropped dramatically. Stackhouse did not demand a trade Monday after practice, but he calmly detailed his situation and said that he feels there is plenty of good basketball left in him, too much to be a bit player. He speculated that the end of his Mavericks tenure might be coming soon and that the organization's decision to bring along young players has left him with an uncertain future, given that he will probably be a free agent next summer. 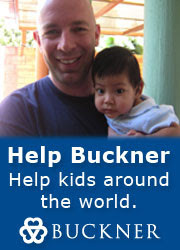 "Sometimes, that cycle comes," Stackhouse said. "When I came to Philadelphia [as a rookie], Jeff Malone was still a very capable player. But they said: 'Jeff, Jerry Stackhouse is the starting shooting guard here, and we're starting over.' He still went and played somewhere for a couple more seasons. "And you got to start that process sometimes. I'm not mad, and not the first one that the process has started with. It's going to start with some more here before too long." There are only three ways that Stackhouse and the Mavericks could divorce – either through a trade, by waiving him or by buying out his contract, which is paying him $7 million this season and is partially guaranteed for $2 million next year. Without consistent playing time, Stackhouse has no way to improve his stock for next summer, when he would be a free agent if the Mavericks waive him. Stackhouse, 34, knows there is no simple solution. Ideally, he would like to play more with the Mavericks and finish out his contract with the team that acquired him in 2004. But coach Rick Carlisle is committed to bringing along young shooting guards Antoine Wright and Gerald Green, which is eating into Stackhouse's minutes. "The team is always going to protect itself, so I can't force their hand to do anything," Stackhouse said. "I don't really know all the options right now. It's to the point now where it's time to start researching some things and see if there are some other possibilities that make more sense for me right now." Stackhouse was put on the inactive list Sunday at New York. He also was held out of another game earlier this month. In the eight games he's played, he's averaged 17.6 minutes, 29.1 percent shooting and 5.3 points. Jerry Stackhouse is probably going to be a former Maverick before too many more weeks (days?) go by. That will be a sad day for those who have watched him give the Mavericks heart, soul and toughness for the last four years. Stackhouse also have rehabilitated his image while he's been at Dallas. When he left Washington, he didn't have many friends in many NBA front offices. A lot of people were surprised at how well Stackhouse adapted to a reserve role for the Mavericks. He was the consummate team player. Hopefully all the work he did to build that reputation won't be lost if the team and the player go through a difficult divorce. Stackhouse said he wants to make any split happen the right way. Neither does Stackhouse carry any bitterness for the way things have transpired early in this season. "There's nothing promised in this league,'' he said. "We've seen some disappointment the last couple of seasons and I'm confident in Rick and what he's doing with the team that it's going to get back to that level we were a couple years ago. I've accomplished more as a Dallas Maverick than I have anywhere else. And there's always going to be a piece of me that's a Dallas Maverick regardless of what happens from this day on. But as it stands right now, I just think we kind of drifted in different directions. Texas Tech coach Mike Leach is very familiar with the landscape at Oklahoma. His last assistant coaching job before becoming the head coach at Tech in 2000 was with the Sooners. Leach spent the 1999 season as the offensive coordinator and quarterbacks coach for OU in Bob Stoops’ first year as head coach of the Sooners. With Leach calling the plays, the Sooners went from last place to second in the Big 12 in scoring and improved by 134 yards per game in total offense. Stoops and Leach talked strategy all the time back then. "Bob would come through the hall and we’d sit down and he’d tell me defensively what he’d be looking for and various different things, so I did think it was valuable," Leach said. "I coached defense at the College of the Desert [in 1988], so I think that was probably really helpful in my career as far as developing as an offensive coach. "It was a great program [at OU] in that it was exciting to combine what we did offensively with what Bob Stoops did defensively." Leach and Stoops will face off at 7 p.m. Saturday when the second-ranked Red Raiders (10-0, 6-0 in the Big 12) meet the fifth-ranked Sooners (9-1, 5-1) with all sorts of conference and BCS implications on the line. quarterbacks coach when he got the call from Stoops to join his staff. "I was pretty surprised," Leach said. "It all happened pretty fast, though, because he got the job pretty quickly. "I didn’t have any idea that he’d call me. But I knew him a little." With Stoops and Leach in ’99, the Sooners won seven games and advanced to a bowl game — the Independence Bowl — for the first time in four years. The next year, Leach left for Tech and OU went 13-0 and won the national championship. "What I really appreciated with Mike is he does what he does and he does it well,"
Stoops said. "He’s always been very emphatic to be really excellent and good at what you do. "Not that he doesn’t look for different wrinkles, because he always has added little things. But the meat and potatoes of what he does is still there [today] that was here when we started in ’99." The challenge of beating the Sooners in Norman, Okla., will be a tough one for the Red Raiders,. Since Bob Stoops became OU’s coach in 2000, the Sooners are 59-2 at home. The losses came against Oklahoma State (16-13) in 2001 and against TCU (17-10) in 2005 when OU was ranked fifth in the country. "Going in there is a tough place to play, with 90,000 screaming at you," Tech defensive end Jake Ratliff. "I like playing up there, and it’s fun." Tech is 0-4 at Norman under Mike Leach, losing in 2000 (28-13), ’02 (60-15), ’04 (28-13) and ’06 (34-24). However, the Red Raiders won last year (34-27) and in ’05 (23-21) in Lubbock, and have won two of the past three games in the series. "You just go in and play the best you can," Leach said. "I think everybody is more comfortable at home, and then also I think the noise is more of a distraction to the [visiting] guys." And now, with the Big 12 South title and their improbable BCS championship hopes on the line, no one is giving the No. 2 Red Raiders much of a chance of winning Saturday night at No. 5 Oklahoma, where they never have won under coach Mike Leach. Leach, who prefers pirates and Geronimo to country clubs and fine wines, wouldn't have it any other way. Even though Oklahoma has a more storied tradition and usually has better players, the Red Raiders have beaten the Sooners twice in the past three seasons. Last season, Texas Tech beat Oklahoma 34-27 in Lubbock, knocking Sooners quarterback Sam Bradford out of the game in the first quarter with a concussion. Beating Oklahoma for the third time in four seasons figures to be much more difficult. The Red Raiders are 0-4 in games played at Oklahoma under Leach. The Sooners have a 59-2 record at home in 10 seasons under coach Bob Stoops and are averaging 50.2 points per game at Gaylord Family-Oklahoma Memorial Stadium this season. Never before has Texas Tech played a game with so much at stake. If the Red Raiders beat the Sooners, they'll win the Big 12 South and guarantee themselves a chance to play Missouri in the Dec. 6 Big 12 championship game in Kansas City. Beating Oklahoma and then Baylor at home next week also would keep Texas Tech alive in the BCS championship race. Texas Tech has to beat Oklahoma, which has never been easy, to accomplish any of it. "It's tough to win there, you know?" Leach said. "They're a good team, and they're well coached. We can't worry about what everybody else thinks. We've got to focus on what we're doing and go out and do the best we can." Leach said beating Oklahoma, which has won four games in a row since losing to Texas 45-35 on Oct. 11, is Texas Tech's biggest challenge so far. That sentence above that I put in bold seems a bit silly, no? 3 weeks ago they played the #1 team in the country. Wasn't that as big as this? If they lose that game, this game doesn't mean anything, right? Michael Lombardi with an amusing quick-hit on the Cowboys…. Great win for Dallas last night. Many players have told me that the last week in Big D was a circus like atmosphere, as there is always something going on for promotions of the new stadium during the practice. The focus is never just about the game, it’s about the selling of the game. Tony Romo walked through a celebratory locker room carrying an iPod that blared the song "Burning Heart" by the band Survivor. Though his body says stop — his spirit cries — never!" 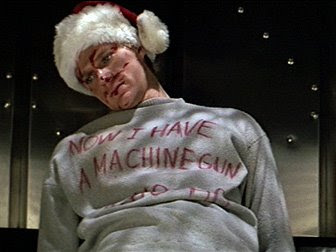 Rocky IV, but it says something about the starting quarterback for the Dallas Cowboys. Not only is his musical taste rooted in aged 1980s cheese (see, Journey), but much like with the Cowboys, he also can bring back bands thought to be long since dead, and songs that are better served for Rocky flying over to then-Communist Russia to fight Ivan Drago. "It was great to have him back," Cowboys owner Jerry Jones said after the Cowboys’ 14-10 win at Washington on Sunday night. "He adds confidence to our team." Without Romo, the Cowboys looked and often played like a team that had the confidence of a squad headed to the top of the draft. That believed a margin, no matter how small, was too big to overcome. Although he was far from his best, just the presence of Romo seemed to change things for a team that was in desperate need of a boost. "It just shows he’s our franchise," Cowboys tight end Jason Witten said. "Not just as far as making throws and all that; I think more importantly the leadership and keeping everybody upbeat and the tempo that we play with. That goes a long way, especially in those big games." There is also some more good news: The splint that supports Romo’s broken right pinkie and forces him to change the way he grips the football might only be on for one more game. Two, tops. "The adrenaline of the game is a great equalizer when you have things banged up or hurting," Romo said after the game. "I always felt if I could kind of do it during the week I would be able to do it in the game." He did kind of do it. Romo was effective, but he was not quite the same passer he had been in Weeks 1 through 3. Romo and the Cowboys won despite scoring 14 points. He was far from sharp and was intercepted twice. But the Cowboys finally began looking like themselves again. "He affects the game. He affects our players. He affects our attitude about what we can and can’t do when we got behind 7-0," Cowboys coach Wade Phillips said. "I don’t think it bothered anybody that we got behind. We felt like we could score. I think it affects decisions of the game that sometimes you don’t see. And just his enthusiasm. His confidence, his calls." This week’s look at the stretch run on the schedule is below. I have taken New York off the table because they appear to be free and clear to win the division. Coldplay is in Dallas tomorrow night. You may have to sue me, because I am fired up…. What a Night. The Season is alive. Marion the Barbarian and the boys in the trenches may have saved 2008 on a brisk night in Washington. We talked in the pregame show about the lines of scrimmage and how it was so important for the big boys to dominate and stand their ground. The offensive line especially had to step up and keep Tony Romo off the deck. And they had to jump back at a Washington team that beat them physically in Irving back in September. 0 sacks. 66 yards of rushing in the 4th Quarter where the Cowboys killed off the game. And most importantly, 3 yards on 4th and 1, on a play that put the Cowboys back in the win column and seemingly ready to spring back to life in the race for the playoffs. That 4th down call was exactly what I hoped they would do. Conservative kicks to go up 7. But a team with swagger puts a dagger in your chest right there. Good work, Wade, on that one. The Return of the Jedi was also a welcome sight. It took a bit to knock off some rust and get some confidence back, but when the game mattered, it was easy to see that #9 was getting his swagger going and the offense was starting to rise up and look like a bully yet again. Surely, a game with 2 interceptions is nothing to send to Canton, but under the circumstances, Romo brought home a win with just enough key passes to keep the offense balanced and threatening. • At the risk of sounding a bit like a cheerleader here, I want to point out how nice it was to see Romo enjoying himself. One of my theories back in October was that Romo did not appear to be having fun and that the expectations of winning every game on the way to the Super Bowl weighed on his back like a piano. Maybe, a break from the team would clear his head and he would return looking like Romo ’07. Well, I like the returns so far. The smile, the poise, and the ability to not allow frustration in to the mix is a lot easier when you aren’t picking your body up off the turf every play, but it was nice to see it back last night. • Jay Ratliff is an awesome football player. I am convinced that he is miscast as a NT in a 3-4. I am further convinced that priority #1 in the off-season needs to be to secure an anchor in the middle that demands a double-team block on every play and move Ratliff to DE after Spears moves on to that next employer. That is what most 3-4 teams have as a foundation in their defenses (Vince Wilfork, Shaun Rogers, Jamal Williams, Grady Jackson) and that should allow the Guards to stay off the Middle Linebackers who sweep in to make plays. The Cowboys are too easy to gash up the middle because they have no anchor in the middle. However, Ratliff is a talent. A big-time talent. In the pass rush you better double team him because he will whip most centers or guards in a 1-on-1 matchup. His quickness and power make him a wonderful inside pass rusher on passing downs, and I suggest that his sack dance is one of the best I have ever seen. • Sunday Night Football is always fun and it brings some things to the table that you don’t always get. First and foremost, the Sunday Night crew comes up with numbers that nobody else does. For instance, have you heard that Nick Folk has no touchbacks in over a year? Or, that statistic of Barber passing Bronko Nagurski for all time leading rushers for Minnesota Golden Gophers? Or, Barber’s 2007 4th Quarter rushing production versus 2008? I enjoy that very much. Then, NBC brings you the great John Madden. Sorry, I know he goes on and on about Larry Allen and Brett Favre, and that he always jumps on Flozell Adams for penalties, but Madden is awesome. I wish they would let him get into his football jargon chalk talk that he occasionally shows you, but I am sure the national broadcast people want the broadcast dumbed down for the first time football viewer. I look forward to the Cowboys being in prime time. It always seems like good things happen there, too. At Green Bay this year, At Carolina in Romo’s debut. In 2007, the Cowboys beat the Giants, Bears, and Eagles on Sunday Night Football. So unless I am mistaken, the only loss in the Romo era in front of Madden and Michaels is the Sean Payton ambush of December 2006. 6-1 is nice. • Didn’t it appear early that Jason Garrett and Romo had no idea what he was capable of? The had nothing but short routes and misdirection gadgets early on. A reverse that was doomed, a waggle with Owens in motion that was blown up. 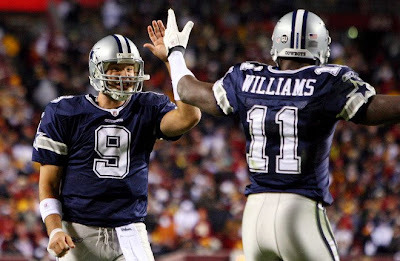 The only thing that saved the Cowboys on offense was when Romo demonstrated he could get the team down the field with a few darts on consecutive plays to Jason Witten for 28 and Terrell Owens for 25. Once he did that, the Redskins safeties had to play it honest. And that is when the running game really got cooking. • Mike Jenkins had another “meow mix presents the play of the week” moment. Take a look at the kickoff return that Rock Cartwright busted open near the end of the 1st half, and see which Cowboys coverage member wanted nothing to do with busting the wedge. That is right, Mike Jenkins with an “ole” on Mike Sellers. Of course, Rock followed Sellers right past Jenkins and the huge return was on. • Terence Newman was absolutely awesome last night. He as chasing his nemesis Santana Moss all over the field, and with an interception and tight defense on the big 4th down at the end of the game. He almost got burned on the home run pass to Moss on the first play of the Redskins only 4th Quarter possession, but the ball was not secured by Moss. If that play is made, the game is likely lost, but it just missed. Newman tackled hard, covered well, and brought those All-Pro credentials to the table for the first time this year. Maybe he is finally healthy. That could be huge. • Did Jason Taylor play? I am not saying he has instantly become Shaun Alexander or anything, but he was awfully invisible last night. • I give a great amount of credit to Clinton Portis. He was trying to play when he was not healthy enough to go. But, he knew that the Skins would be doomed if they were left to Jason Campbell’s ability to march the team down the field. I know he is talented, but I think Campbell is going to have to get the ball down the field if they are to be taken seriously offensively. WR screens can only take you so far, and the Skins would really be dangerous if they could threaten the secondary a bit more with vertical stretching. Of course, Tennessee has managed to go 10-0 without any sort of vertical stretch so I guess this isn’t a completely air tight sports theory. • Keith Davis brings the wood pretty well. Jenkins should ask him how to do it. • The last time the Cowboys ran the ball like they did was the game in Green Bay. What do those games have in common? Well, in both cases, it appeared they were determined to run the football and have Romo throw as a compliment to the run, not the other way around. Of the 55 offensive snaps, 37 were from under center last night. Using the shotgun is good. Relying on the shotgun gets the Cowboys into trouble. Let’s hope Garrett uses this game and the Green Bay game as the template to win. “21” and “12” personnel make the Cowboys very tough to stop. 3 WR sets make the Cowboys far more predictable and teams bring in a base Nickel to counter. • Jason Witten had a crucial drop on the drive in the 4th Quarter that could have really hurt. It hit him right in the hands and right in stride. Luckily, on the next 2 plays, Romo hit Austin with a chest pass for a first down, and then on the very next play, Romo throws a beautiful pass to Martellus Bennett of all people for the winning TD. Bennett is beginning to show what he is capable of, which is pretty exciting to consider. • What a game with serious hitting. NFL football is awesome on nights like that. • Disappointing elements of the game? I was under the impression that we were going to see a ton of Anthony Spencer, and I hardly saw him. Also, the penalties were bothersome yet again. Other than that…not much was disappointing. Even the 14 points doesn’t bother because they surely could have had 7 more if they needed it at the end. And the 2 interceptions took points off the boards as well. I think the offense is fine when Romo is on the field. Sadly, now you better prepare to hear about Pac Man Jones this week. I wouldn't let the guy near this locker-room, but we all know Jerry. • Time to save the season. To do that, the 2 home games in 4 days stretch is mandatory. San Francisco and Seattle are both teams having lousy years, but the Cowboys are already 0-2 against the silly NFC West. That better be evened at 2-2 by Thanksgiving night. It is alive. Lakers are Good. Mavs are the Mavs. Wow. Michael Crabtree is Amazing.